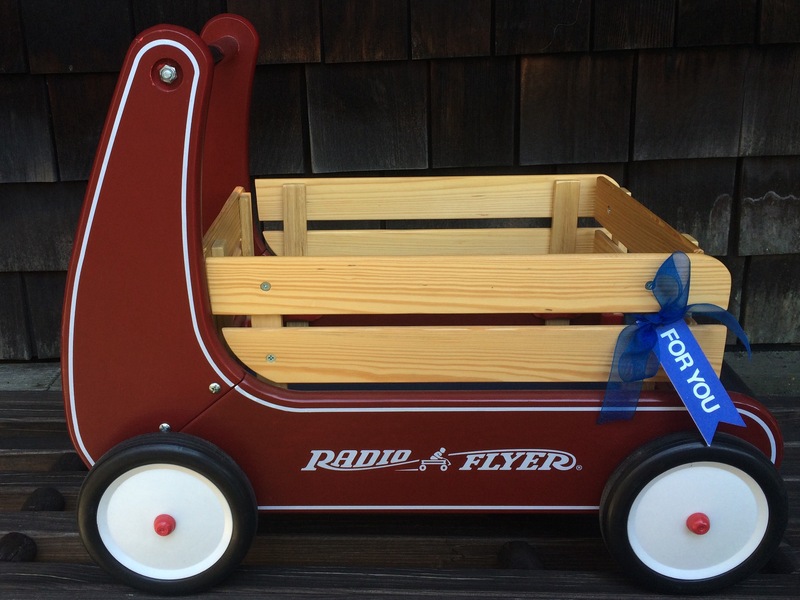 Our friends and sponsors at Daytrip Jr. are generously offering a Cute Potato reader the chance to win a Classic Walker Wagon from Radio Flyer. This little wagon is a sentimental favorite in our family. CP#1 and #2 used it in the backyard when they were first beginning to walk. The two have pushed stuffed animals, dolls, and even cousins in the wagon. MP loved the Radio Flyer so much she saved it and passed it down to her 3-year old nephew, Little J. She’s hoping we can keep in the family for years to come. Who knows? Maybe someday her grandkids will be pushing this wagon in the backyard! Want to enter for a chance to win? Simply comment below. Contest ends tonight, Friday, October 23, 2015 at midnight EST. We will pick one winner at random. Good luck! What a perfect little wagon for our little girls to use for dolls and toys! What a great giveaway! Would be perfect for my 6 month old when he is learning to walk next year! What a great giveaway! This would be perfect for my 6 month old when he is learning to walk next year. What a great family heirloom. What a great giveaway. Wagons are great for walking and apple-picking and Radio Flyer’s are awesome.